I love Cinco de Mayo. It’s a great holiday that promotes friends, family and culture. One of the best things about a culture is its culinary offerings. You know… food and drinks! Now, since I am “Rick On The Rocks”, I’m going to share with you one of my favorite Cinco de Mayo drinks: The Chicharrones Clamato Michelada. A Michelada is a beer cocktail that involves tomato juice, lime juice and sometimes peppers, hot sauce, lemon, spices and usually served in a salt-rimmed chilled glass. 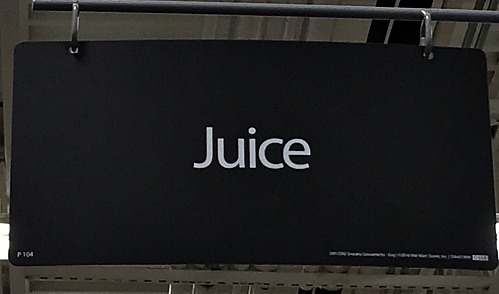 I was in the bar industry for over 17 years, so I have seen many versions of this drink. I don’t believe that there is a right way or wrong way to make a Michelada. I think it is all based on personal preference. This is the Michelada I have been making for quite a few years and people seem to really love it. First you need to start out with some basic ingredients. 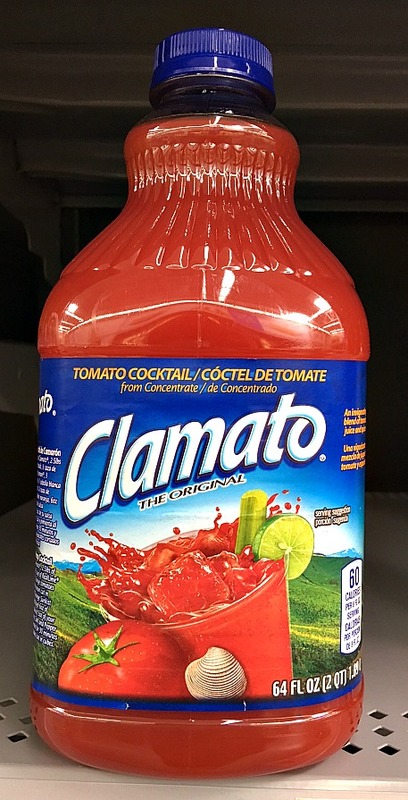 I went to my local Walmart and picked up some Clamato® Tomato Cocktail. 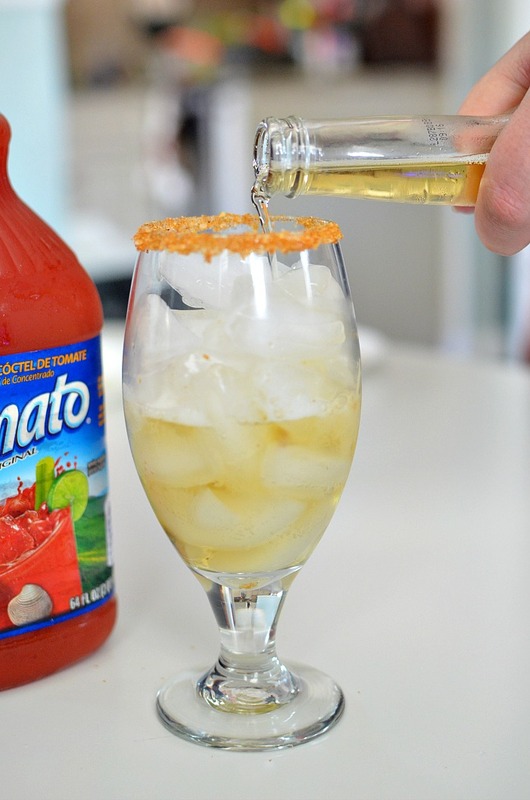 Clamato is the official drink of Cinco de Mayo! A lot of people have never tried Clamato. It’s full bodied, zesty, but it has a light consistency that makes it a great mixer with a myriad of drinks. I first came across it about a decade ago in New Orleans. I ordered a drink and the bartender suggested that I substitute Clamato as my mixer. He gave me a taste of the Clamato right out of the container and I was hooked. Take 4-5 Chicharrones, the chili powder, the Margarita salt and put them into a resealable plastic bag. Take out all of your frustrations and crush the mix using your hands, a spoon or a mallet. When it is almost powder like, pour contents onto a small plate. Pour 1/4 cup Lime Juice Syrup onto a seperate small plate. 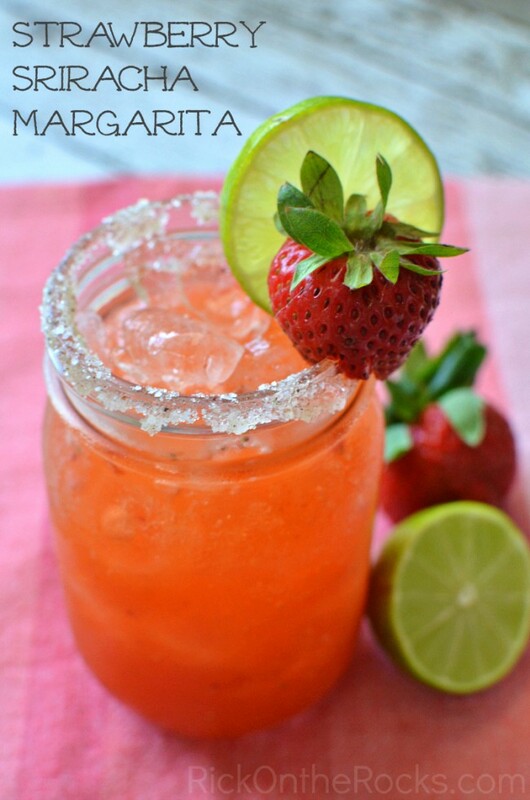 Take the rim of your 160z glass and dip it into the Lime Juice Syrup. Then dip it into the Chicharrones, chili powder and salt mixture. Carefully fill your glass with ice. Garnish with lime and lemon wheels. 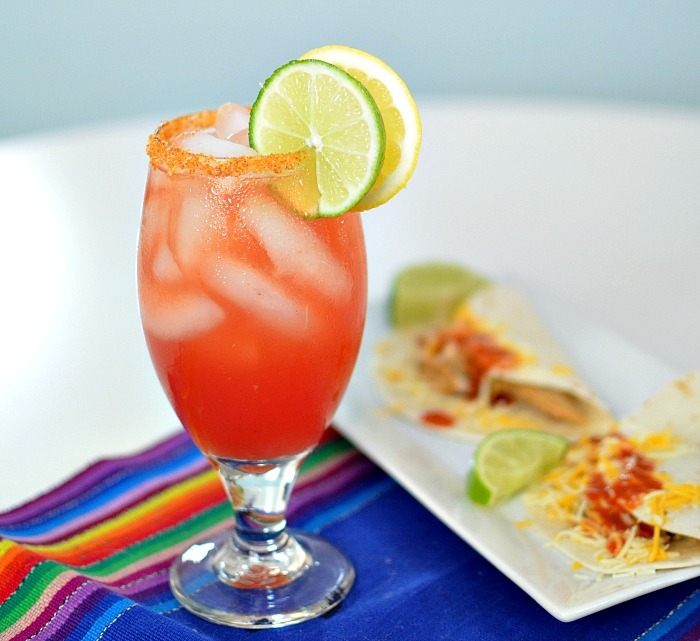 My Michelada will pair with any of your favorite foods for Cinco de Mayo. I usually have people over and set up a fajita bar. A little grilled meat, fresh tortillas and lots of toppings. 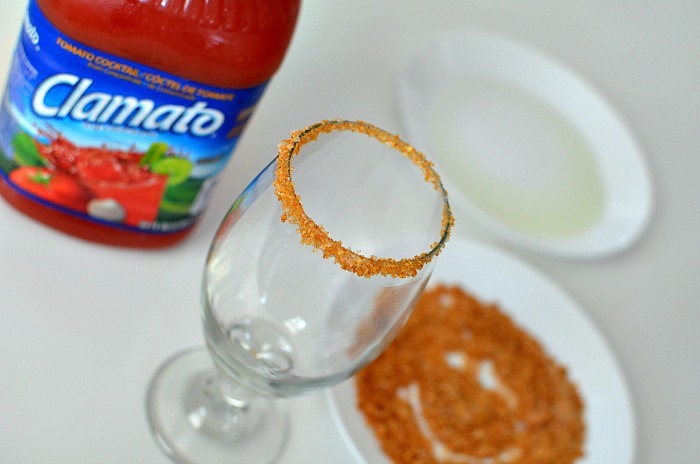 What foods would you serve with my Chicharrones Clamato Michelada? I hope that everyone has a safe and fun Cinco de Mayo!!! I’ve been wanting to visit Ireland for as long as I can remember. All of my friends who have been there, have said how amazing and beautiful it is. With St. Paddy’s Day coming up, I’m going to enjoy Mike’s Hard Pot of Gold and envision great places to visit in Ireland. 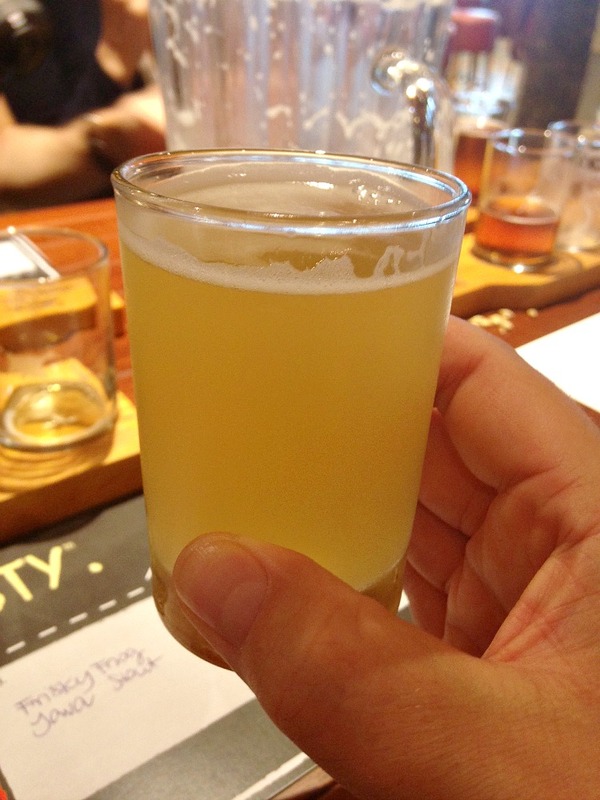 I picked an old favorite ( Mike’s Hard Mango Punch… yum!) and a new flavor (Mike’s Hard Raspberry Elderflower… double yum!). Both are really bright, refreshing and perfect for any Spring get together. Fill your favorite glass with ice. 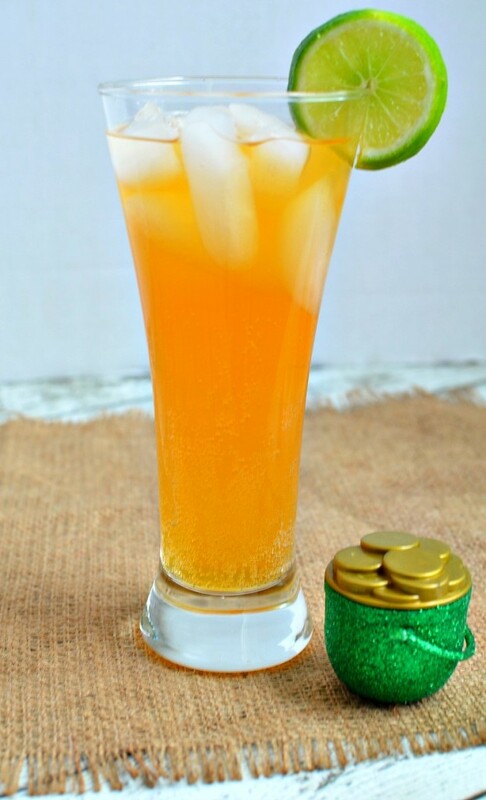 Pour in half a bottle of Mike’s Hard Mango Punch. Pour in half a bottle of Mike’s Hard Raspberry Elderflower. 1 tsp. of fresh squeezed lime juice. The first place on my list of places to visit in Ireland would be the Blarney Stone itself. According to legend, kissing the stone endows the kisser with the gift of great eloquence and the skill of flattery. The ritual of kissing the Blarney Stone, according to the castle’s proprietors, has been performed by “millions of people”, including “world statesmen, literary giants and legends of the silver screen”. The kiss, however, is not casually achieved. To touch the stone with one’s lips, the participant must ascend to the castle’s peak, then lean over backwards on the parapet’s edge. This is traditionally achieved with the help of an assistant. Although the parapet is now fitted with wrought-iron guide rails and protective crossbars, the ritual can still cause angst to anyone who has an extreme of heights. Located close to north Clare and south Galway, The Burren is a must see for anyone visiting Ireland. It is quite easily the most unique and interesting landscape in Ireland, if not all of Europe. It combines distinctive limestone rock formations with rare species of flora and fauna. The Burren’s name is derived from the Gaelic word Boireann, which means rocky place. Its completely unique appearance is the result of thousands of years of the erosion of limestone by acidic rainwater which has left ruts and hollows between the rock surfaces. Not well known to Americans, the Passage Grave of Newgrange is one of the most historically significant locations in not just Ireland, but in Europe as well. The Passage Tomb might be only rivaled in importance by Stonehenge. 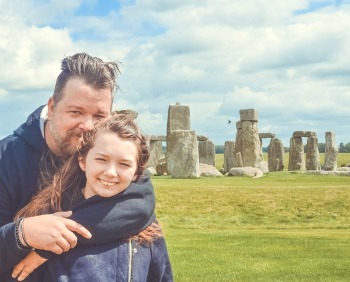 This prehistoric tomb dates back to 3000 BC, which makes the tomb 400 years older than the Pyramids of Egypt and over 1000 years older than Stonehenge. One of the most amazing things to see in Newgrange is the winter solstice, A beam of sunlight travels the length of the tomb and illuminates the floor. Newgrange is an officially designated World Heritage Site by UNESCO and attracts almost 200,000 visitors annually. You can take a tour into the tomb itself. 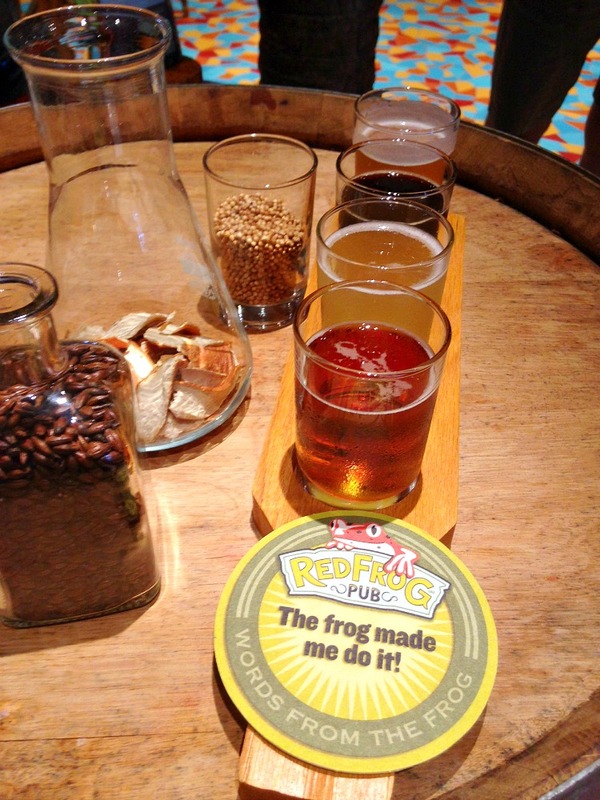 I would raise a glass of Mike’s Hard Pot of Gold in any one of these amazing places! Be sure to have a great time and you should always drink responsibly! 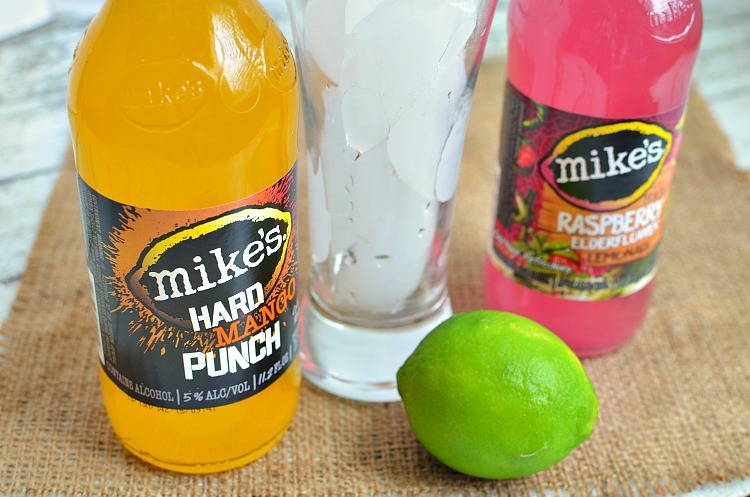 Thank you to Mike’s Hard Lemonade for sponsoring this post. 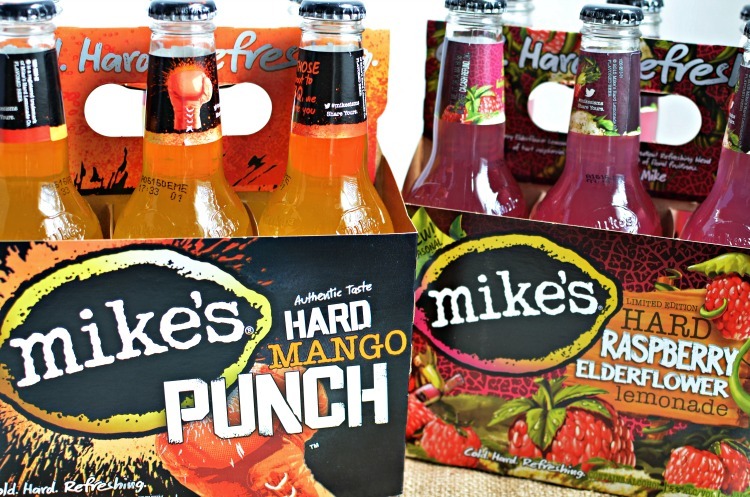 All opinions and love of Mike’s Hard Lemonade are my own. You must be 21+ to drink this product.